The Sipayik Cultural Committee of the Passamaquoddy Tribe of Native Americans manages this small museum at Pleasant Point. Native tools, baskets, beaded artifacts, and historic photos are on permanent display. Events, typically scheduled for the summer months, include demonstrations by local Passamaquoddy artisans, traditional dance, foods, and legends or storytelling. Passamaquoddy means “pollock fishing place,” and these fish continue to be an important tribal resource, along with porpoise, lobsters, scallops, clams, and alewives. 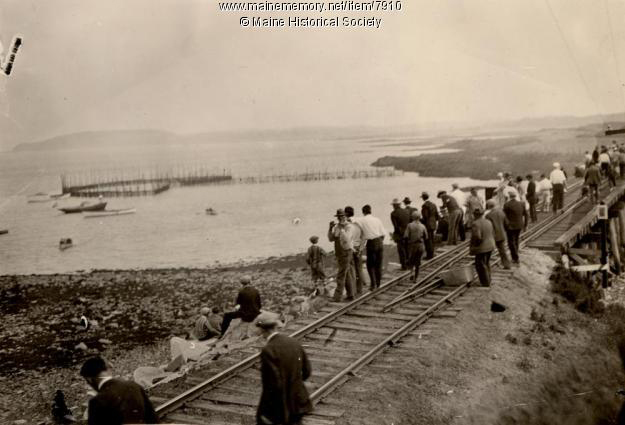 The Passamaquoddy taught settlers how to fish using weirs in their unique double-curve design. 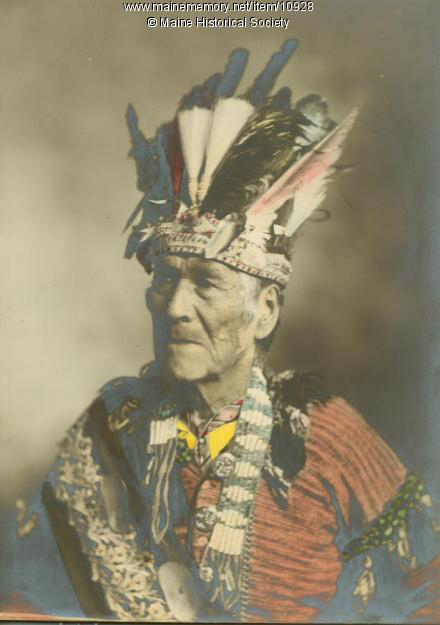 The Passamaquoddy Tribe is a member of the Wabanaki Confederacy, the People of the Dawn, which also includes the Penobscot, Maliseet, and Micmac tribes of Native Americans. “Pemsquodek” or Passamaquoddy means bay where pollock are plentiful. Many of the names for places in Downeast Maine originated with the Wabanaki. “Cobscook” means at the waterfalls, in reference to the dramatic tidal flows. Pembroke is punamuhkatik, the place where tomcod (frostfish) are caught. The names are evidence that Maine’s native inhabitants have a long relationship with the sea. They taught the settlers how to fish using weirs in their unique double-curve design. 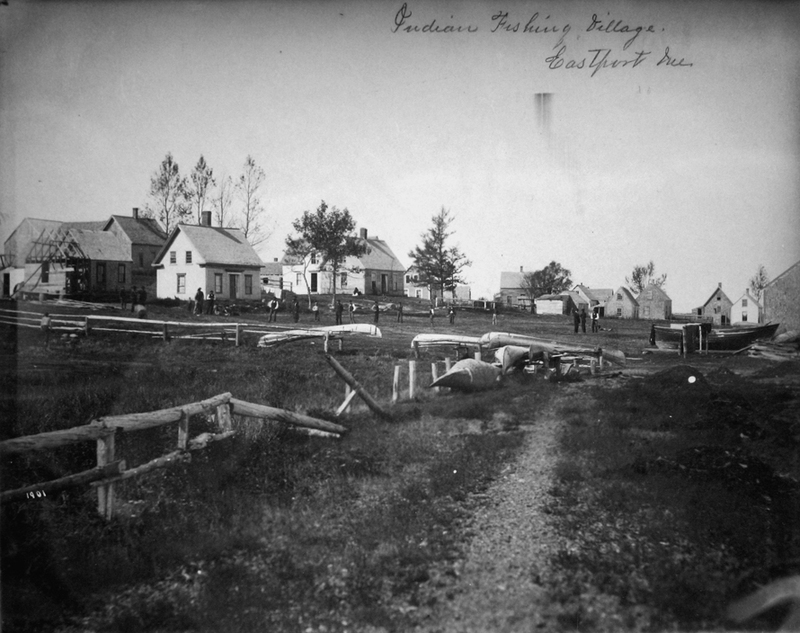 Encroachment on Passamaquoddy land by Europeans in the nineteenth century forced Native families to intensify their efforts in obtaining subsistence from the sea. 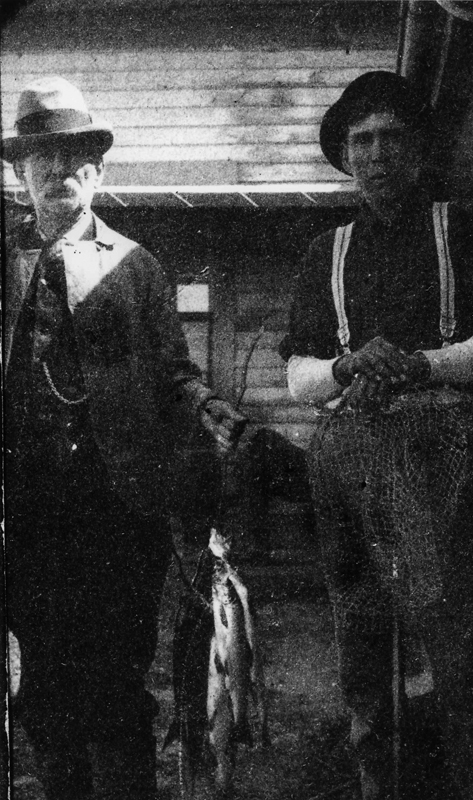 In hard times, many Passamquoddy families depended on fish to survive the winter, drying pollock, cod, and flounder and salting herring in barrels. The Passamaquoddy were also integral to the commercial herring industry. In addition to operating their own fish weirs and working in the fish factories, they made “fish baskets,” a standard industry measure used to move herring from boats to the factories. “Sardine baskets” had a square bottom and round top. “Scale baskets” held fish scales for the manufacture of pearlescence, an irridescent substance used in nail polish, buttons, and fake pearls. These were heavy-duty, ash baskets that could withstand repeated soaking and intensive use. Indian Day, a cultural celebration (always the second Saturday in August). Learn more native words at the Passamaquoddy-Maliseet Language Portal. Drive north on Route 1 to visit the Passamaquoddy Cultural Heritage Museum in Indian Township. Neptune, Joseph. 1942. 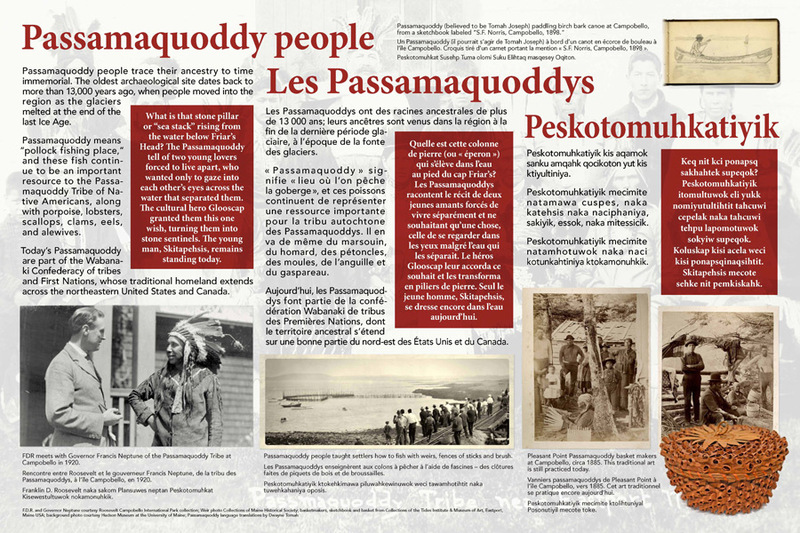 History of Passamaquoddy Bay (manuscript). Pleasant Point, Perry, ME. Soctomah, Donald. 2002. 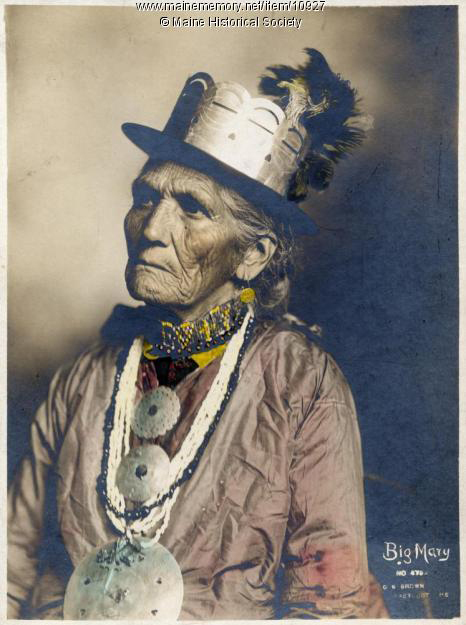 Passamaquoddy at the Turn of the Century 1890-1920 Tribal Life and Times in Maine and New Brunwsick. 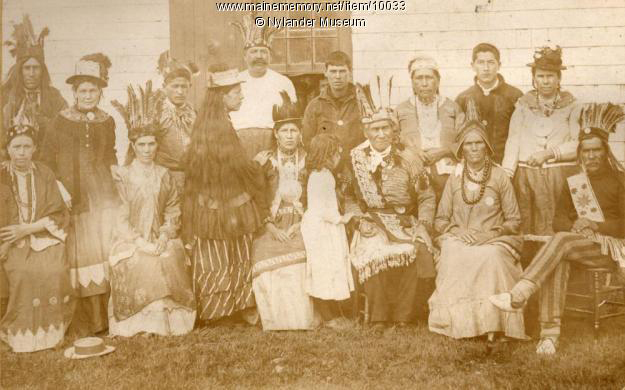 Indian Township, ME: Passamaquoddy Tribe. Soctomah, Donald. 2003. Hard Times at Passamaquoddy 1921-1950 Tribal Life and Times in Maine and New Brunwsick. Indian Township, ME: Passamaquoddy Tribe. Stevens, Susan MacCullough. 1973. Passamaquoddy Economic Development in Cultural and Historical Perspective. Mount Vernon, ME: Department of Indian Affairs.